While searching for a new exfoliant for my face, I stumbled upon some glowing reviews of Philosophy Clear Days Ahead Overnight Repair Salicylic Acid Acne Treatment Pads, a one-step acne treatment pad that claims to remove dead skin cells, prevent future acne breakouts, improve the appearance of large pores, discoloration and post-acne scarring and promote clearer skin. The product comes in a white tub and contains 60 pre-moistened pad a little over 2″ in diameter each. 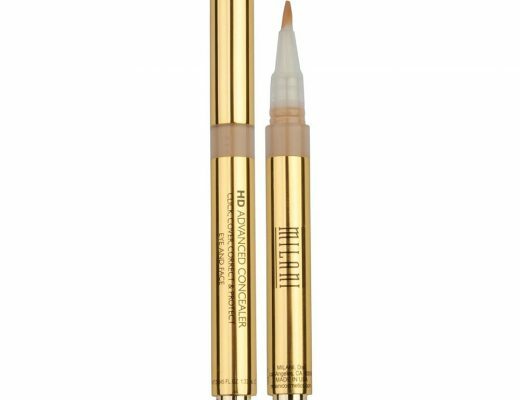 Main ingredients include 0.5% salicylic acid (perfect for sensitive skin), glycolic acid, mandelic acids, orange peel extract and no Parabens, Sulfates, Synthetic Fragrances, Synthetic Dyes, Petrochemicals, Phthalates, GMOs or Triclosan. The pads can be used up to 3 times a day, depending on your skin type and needs. I use them once every 2-3 days to exfoliate my dehydrated combo skin and spot-treat the occasional pimple and they have been working brilliantly for me. After I remove my makeup, I take 1 pad and wipe all over my face, avoiding the eye area and focusing on my T-zone, chin and areas that are prone to breakouts. The pad felt moist and not dripping wet, just like regular makeup wipes. As I wiped it over my skin, I could see foam coming out of it, which disappeared quickly. I did not experience any tingly feeling as I occasionally did with Bliss Peeling Grovy Facial Serum or the harsh abrasion you get with scrub exfoliators. Result-wise, there was no immediate difference but I was REALLY blown away the next morning. My skin felt SO smooth and this pimple I had on my forehead for DAYS was completely dried out and most of the redness GONE – with no irritation or peeling at all either! I also noticed a slight improvement in my overall skin texture after a couple weeks and those nasty blackheads on my nose seemed to have decreased as well. The only downside of the product? 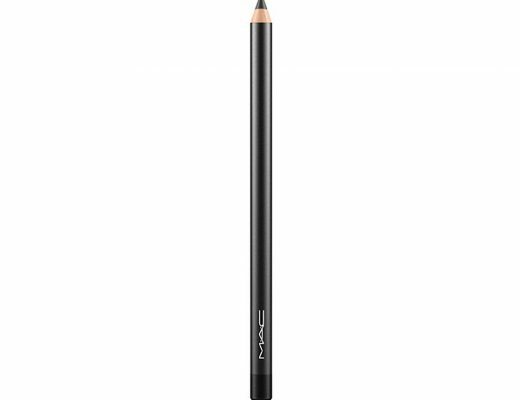 The $39 price tag, which works out to be roughly $0.70 per pad and can add up if you use this a few times a day every day. But considering how effective it was for me, I can’t really imagine anyone going through this in less than a month. 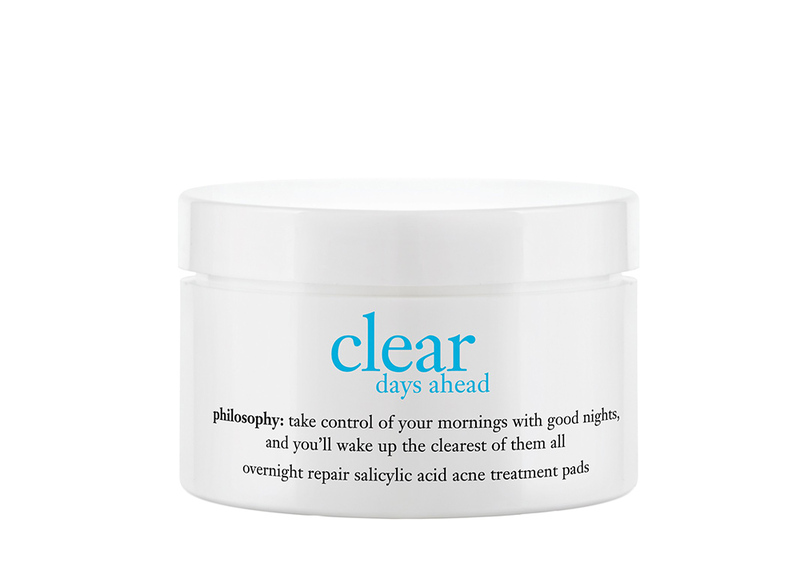 Philosophy Clear Days Ahead Overnight Repair Salicylic Acid Acne Treatment Pads are available at Sephora for $39. 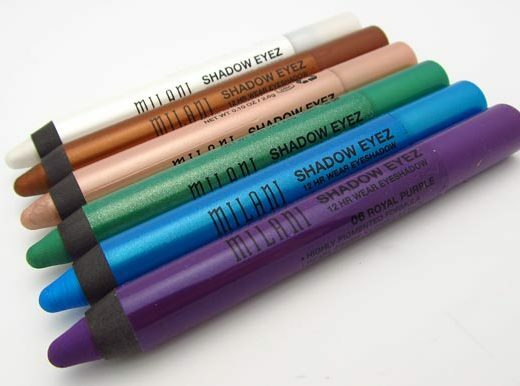 This review makes me want to give these a try.